Jeune Foire has a terrible problem with the tsetse fly. And the village in a corner of the Lutendele health area has one of the highest rates of sleeping sickness in Kinshasa, the capital of the Democratic Republic of the Congo (DRC). 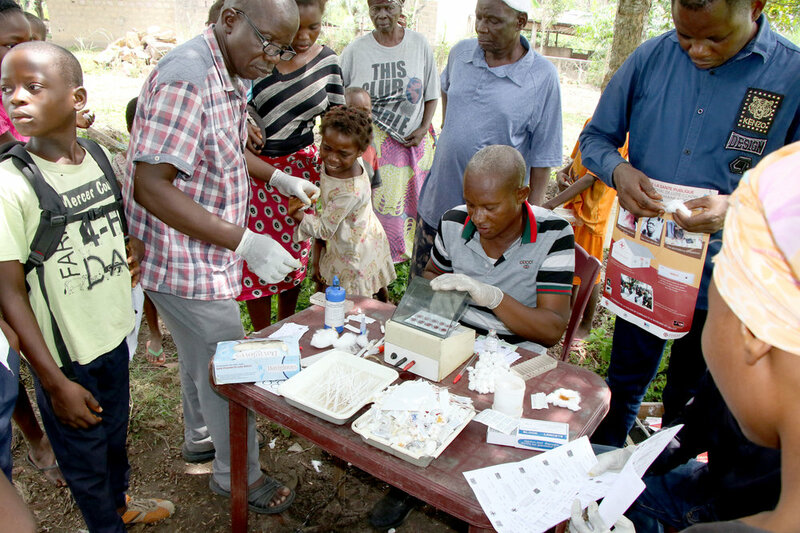 In 2018, the National Programme for the Control of African Human Trypanosomiasis, or sleeping sickness, targeted the demise of the disease, which can be fatal, by providing free screening and treatment. It now deploys a swarm of mobile units that are technically supported by the World Health Organization (WHO) to deliver the services. 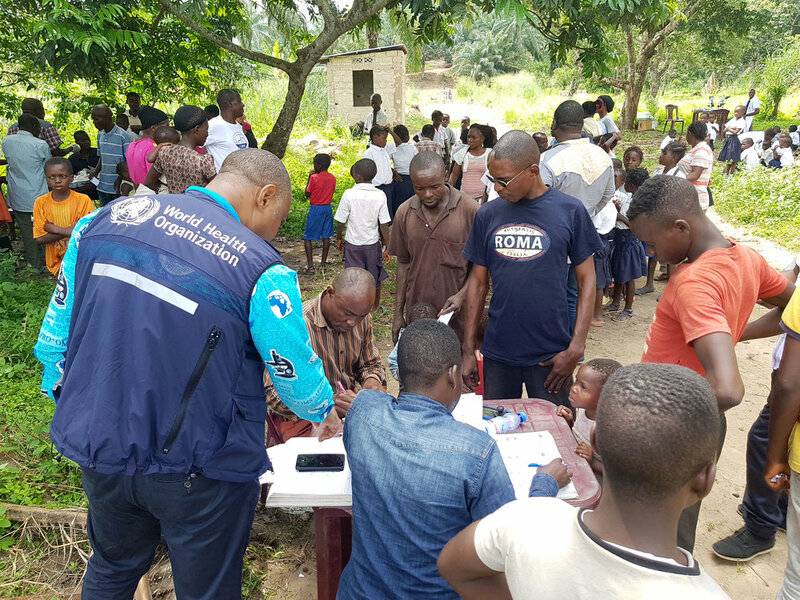 In Jeune Foire village of the Lutendele health area, in the hilly south-western area of Kinshasa, the population comes to meet the mobile unit offering free sleeping sickness screening and treatment. WHO/Eugene Kabambi. "When I first came here in 2015, there were many tsetse flies all around us – they were a real threat to our health during our agricultural and livestock activities," remembers Honoré Kiazekama, 73, a Jeune Foire resident who has been screened at least three times by the mobile unit and always comes up negative. His neighbour has been less lucky. 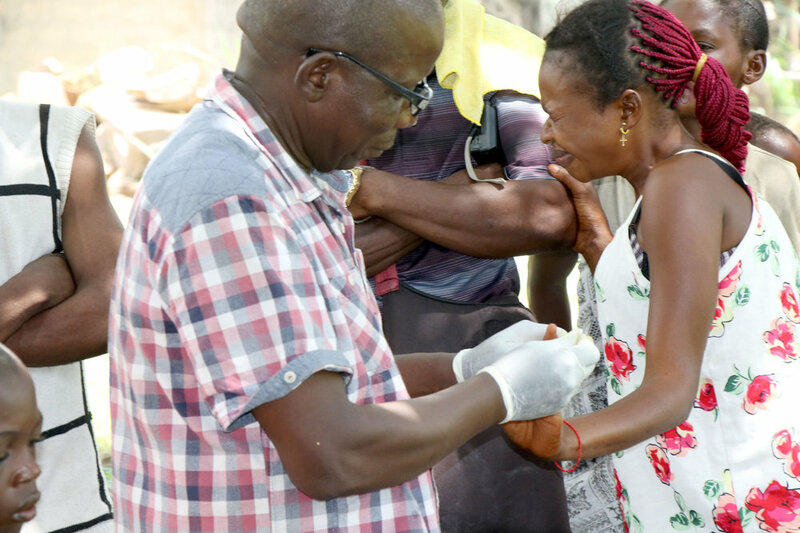 Says the neighbour, Sébastien Tuvivila, 49, “I tested positive for sleeping sickness when the mobile unit passed through our village.” He was immediately put on a 14-day combination drug treatment course. “It allowed me to be totally cured," he says, and now he is always eager for the mobile unit visit to make sure he stays clear of the disease. A recent WHO report ranked the DRC as first among sub-Saharan African countries in terms of sleeping sickness prevalence – more than 70% of all reported cases come from here. More than 1 000 new cases are reported per year in the country. The deadly trypanosome parasite is carried by the tsetse fly, which feeds on blood. For the first few years after infection, in a non-symptomatic phase, the parasite proliferates in the blood and lymph nodes of humans before moving into the brain. The disease results in convulsions and serious sleep problems that, without treatment, lead to coma and death. In the DRC, sleeping sickness is both a rural and urban problem. 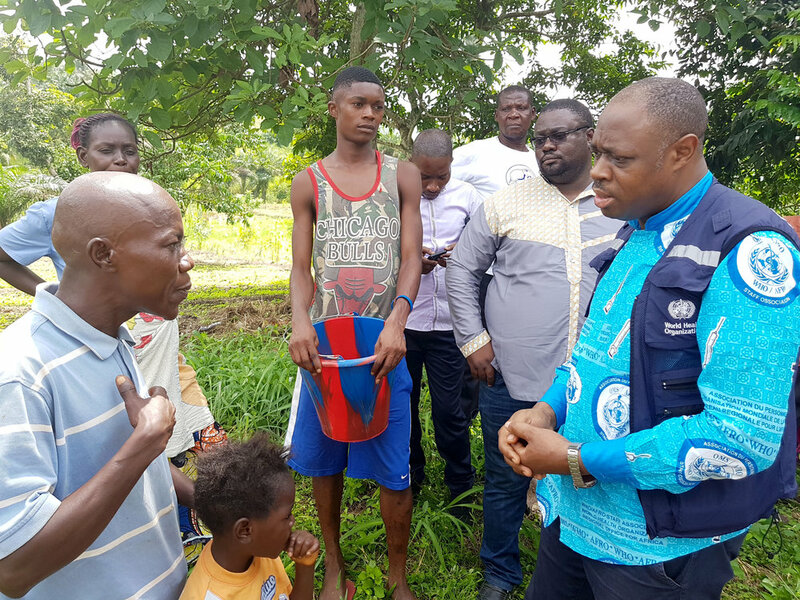 According to Dr Augustin Kadima Ebeja, who works with neglected tropical diseases for the WHO in Kinshasa, people who live in the capital city's residential districts but have agricultural or livestock activities in the outlying areas often avoid being tested when the mobile unit passes through. Others, for unclear reasons, refuse treatment. Julienne, 26, from the rural village of Nyombi, was tested in 2018 by a mobile unit and found to be infected with the parasite. But she died because she did not want to follow her treatment, even though it was free. "With our mobile team, we spend almost 20 days in the field every month in these almost isolated areas to screen and treat confirmed patients," says Didier Lemba Kudia, head of the mobile unit’s surveillance team at the provincial level. He reports that more than 300 people are screened every day. A social mobilizer, using a megaphone and posters, visits villages to sensitize the population – from children to older persons – to be ready for the free screening and treatment once the mobile unit comes to town. The DRC has 34 mobile units dedicated to the screening and treatment of sleeping sickness (WHO has provided four of those units), which also cover low-prevalence areas of the country. 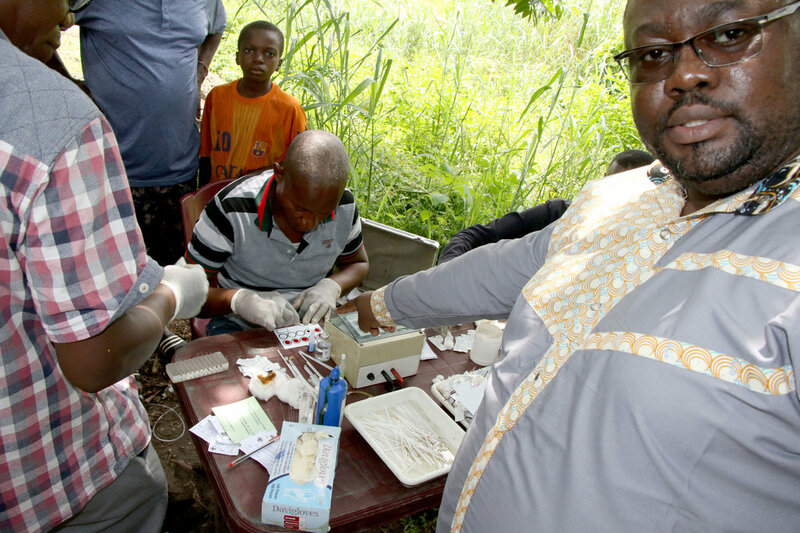 If a blood sample taken from a fingertip tests positive for the parasite responsible for sleeping sickness, it is sent to the last table for microscopic analysis under the trees. "The great advantage of the mobile unit is that it helps us to make early diagnosis for people who have no clinical signs," says Dr Danilo Miakala, Provincial Coordinator of the National Programme. With early diagnosis, it is easy to refer persons for effective management if they test positive. Without the testing going to people, Dr Miakala says that the system loses the leverage of early detection. Instead, he explains, people go to a clinic when they feel sick, often at stage 2, when the parasite is already present in the central nervous system. In addition to the free screening and treatment, health authorities install pyramid traps around villages to catch the tsetse flies.